Bringing the high energy vibe of the Venice Beach boardwalk to the high altitude vibration of the Taos mountains, the festival will combine the eclectic and vibrant venue of Taos Mesa Brewing with the backdrop of the Sangre De Cristo mountain range to create FIELD TRIPPIN' a free form, all access, all ages, music arts adventure! The day will feature artists from the acclaimed broadcast, RadioVenice.TV along with a fabulous line-up of local Taos talent; culminating the day with an epic jam session! Join us and our unique cadre of musicians, artists, stilt-walkers, hoopers, acroyoga athletes, and various other performers!!! MICHAEL JOST spends much of his time in his studio on the Venice Beach Boardwalk overlooking the carnival-like atmosphere and capturing the sounds that are quintessentially Venice! From that creative inspiration have come several albums, “California Burning” “Zeitlos” and “Concierto”. 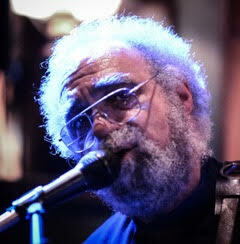 Coupled with his composition and performance work, Michael is also a producer having been instrumental in the creation of Westminster Arts Club, and RadioVenice.TV - a live streaming episodic broadcast. Po.10.Cee (potency), is a Native American hip hop group based in Taos Pueblo, New Mexico. Inspired by the mid 90's golden era, their sound is versatile; a mixture of soul and hip hop with a Native American influence. The group began producing beats, writing rhymes, recording, and performing in 2004. The 8 plus members bring about a high energy performance from their 20 plus album discography, and have toured throughout the U.S. while promoting their movement of truth, art, and unity. CRISTINA VANE is taking the town by storm with her unique blend of blues and folk. Originally from Europe, she draws from a great host of influences; country blues, delta blues, and folk, creating her own flavor of the blues. Whether on the Venice boardwalk busking by the beach or on a stage on the Sunset Strip, her signature silver resonator, slide guitar playing, and powerful vocals are unmistakable and unforgettable. Before falling in love with the blues, Cristina spent her youth studying classical voice, music theory, piano and flute, ever consumed by music. This theme continues. While she predominantly plays slide guitar, she employs fingerpicking, acoustic, electric guitar techniques, as well as clawhammer banjo playing. Cristina performs in Southern California having spent summers gigging in both New York and London prior to her move to Venice. She will be touring this Fall with FIELD TRIPPIN' one of her tour destinations. It is safe to say Cristina lives through music, it saturates her life and is, for her, a necessary vehicle for expression. As a prolific producer, event promoter and dance floor participant, Sattva Ananda has been influencing the electronic music world for more than two decades. Even if you haven't seen Sattva live, you have definitely heard his work. Sattva has been a long-time studio collaborator with the Desert Dwellers, and his work can be heard in some of their biggest hits. His remix of their track "Crossing the Desert" was featured on Lighting in a Bottle's 2011 festival compilation. That same year, Sattva joined the Desert Dwellers on stage at LIB for his break out major festival performance. In the time since, Sattva has released countless high-profile remixes and 3 full length solo albums, including the 17 track opus; Profane Geometry, which received high critical acclaim from taste maker music blogs including YourEDM.com. Sattva's solo tracks have a deliciously psychedelic mid tempo rhythm, with sweet, and groovy textures. A life time of performing music, coupled with over 20 years in the electronic scene, gives Sattva the ability to consistently deliver a not-to-be-missed dance floor moving performance, while a huge library of original music to choose from makes every live show unique. "As a steward of the musical magical journey I'm always honored and humbled to present my art to the dancer/ listener, it is a resonant conversation that often transcends words and brings us to a health that is known simply by being"
BITTERSWEET HIGHWAY is the singer-songwriter duo of Rene’ Janiece and Wayne McKinzie. Living and traveling along the edges of America, theirs is music that rises from the fringes, in place and in style. It crosses genres and blends the sounds that have influenced these two as individuals, combining to create something strikingly original. It is no wonder they call their particular brand of music “Borderland Americana.” This is music that is thought about, and music that makes us think. More importantly, this is music that urges us to feel. Live, Bittersweet Highway’s relaxed and intimate rapport with each other and their audience allows for a wonderfully interactive experience that speaks to the journeys of the heart, the bitter and the sweet that are scattered along the road of life. Born from the tradition of presenting good stories to music, Fork Tongue Records recording artist 'Mr STOBO' conjures up spirits of the past with tales of jilted love, pointed historical commentary, and folks just having a raucous good time. With songs that are sarcastic at times, sentimental at others, this musician from The City of Angels has established a sound that both rocks and rolls between foot-stomping drinking songs and well-oiled ballads; swamp-soaked grooves and hard-driving lyrical rhythms. A decade of touring cross the U.S. and around Europe; playing nightclubs to festivals; bars to backyards; fronting his full band or crooning in a corner café with his acoustic; pounding the drums of the Mantra-rock band Golden Buddha, or singing from the drums of the Blues'delic powerband, Spiel, whoever (or whatever) Mr STOBO is, is whatever is presently being presented. BIG JOE HURT & GOTAWAY GIRL is a reunion of musical friends who all performed in California, meeting up on the mesa for FIELD TRIPPIN' FEST. Chicks, guitars, cowboy boots, harmonies, Americana folk rock with a stab of Emo, Gotaway Girl can play and give true meaning to the quote, "I am woman, hear me roar". Gotaway Girl lives up to their name through nostalgic reminders for the boys and empowering lyrics for the gals. Lead singer, Jocelyn Kay Levy, and violinist/vocalist, Alana Lee, also, once formed the backbone of the rockin' beat of Big Joe Hurt and The Soul Junkies. They are getting back together for one night to play music and sing their hearts out united, not only to play, but to stand for a cause and that cause is to create positive change in the world! Check out their signature sound that is a simple blend of indie-pop, alternative rock and intense beautiful harmonies mixed with the soulful blues that bind them together! This El Paso native is passionate about mixing up his Latin heritage with the folk rock world with his unique blend of bicultural music. It is through Isaac's collection of powerful Folk/Latin rock songs that he brings listeners along on the journey the took him through the wreckage, toward the resurrection and, ultimately to the revoluciøn en su corazøn. Join him on this epic adventure! LA MIMOSAS, the bluesy, crossover Rock´n Soul Band from Frankfurt/Germany is taking a major “field trip” to join FIELD TRIPPIN’ Fest on September 16th 2017. Expect some soulful rock ’n roll from these Venice Beach favorites. Their first album “Soul on Fire” (2013) was mastered in the studio of RadioVenice’s own, Michael Jost. La Mimosas will perform several of their original songs from their previous album, and their new collection of work, "Unity in Diversity“ (release date: July 2017). Miles Bonny loves reality. His music is a warm blanket that hugs you while exploring life’s bed of nails. Social Awareness filters through microphones and computers to represent itself as a creation that will be experienced by soulful people around the world. Tours have including Germany, Australia, New Zealand, Belgium, Czech Republic, Poland, Austria and beyond. Collaborations have included additional international works toward suicide prevention in Russia, fatherhood in Italy. He sometimes calls it "Social Work Music". More than a musician, Miles has simultaneously managed a career in social services, investigative social work and youth needs and educative solutions. Miles is known for taking leaps of faith and landing clearly on his feet, only to leap again. His current exploration has taken him far from his metropolitan NYC upbringing, through the Midwest where he began his music career in Lawrence Kansas and Kansas City Missouri, and all the way to the SouthWestern United States in New Mexico where he currently enjoys a natural setting for his creative and spiritual endeavours while seeking to live as consciously and self-sustainably as possible. Solar panels power his Off-Grid recordings in a building he constructed from adobe cob, raw timber wood, and lava rock all harvested locally. Rather than fear the negative aspects of the world, Miles dives into them as he seeks possible answers to our collective social issues. Connect with Miles and welcome the future as your friend. Siobhan Bonny-O'Rourke is a Contemporary Vocalist and Educator from Tasmania, Australia. After receiving First Class Honors for her Bachelor of Music from the University of Tasmania, she moved to Melbourne Australia and was professionally involved in many facets of the Australian Music Industry. She has worked in Jazz, Hip Hop, Southern Gospel, Folk and Traditional, Classical and Contemporary Songwriting in both Performing and Educational contexts. Her Honors thesis was about the connection between music and the body and how important it is to understand the connection between them, as well as how universal music is and how it can bring people together from all walks of life. Siobhan is passionate about young people feeling empowered through music, she also stays connected to her own musical expression through local performances and recording projects with people from all over the world. During this time, he was part of couple of bands, the Mojo Four and Children of God. Performing in Boston, Tony played in a duo called Tony and Eddie opening club shows for Odetta, Chuck Berry, J. Giles Blues Band and Kenny Rogers and the First Edition. During the 1990's, while living in Portland, Oregon, Tony developed an interest in MIDI and synthesizers. He worked and developed arrangements for many of his songs and the one-man band grew out of these creations. THE SECOND WIND ENDEAVOR is the music of Michael Virga, composer/singer/guitarist. He is joined by Isaiah Kortright on guitar/bass, Evan Sanchez on drums/percussion, and Rose Dragoo on viola/vocals. Michael and Isaiah began playing music together in Tucson, AZ in 2015, and upon moving to Taos in the spring of 2017, subsequently joined forces with Evan and Rose who had recently relocated from Austin, Texas. Garbed in the outer stylings of the folk singer-songwriter groove, the group’s music is deeply informed by blues, soul, classical, and good ol’ rock & roll. While an as-of-yet young band, each musician in The Second Wind Endeavor carries years of experience and gained proficiency on their respective instruments and collectively, are excited to grow together as a creative unit on this next leg of the adventure.